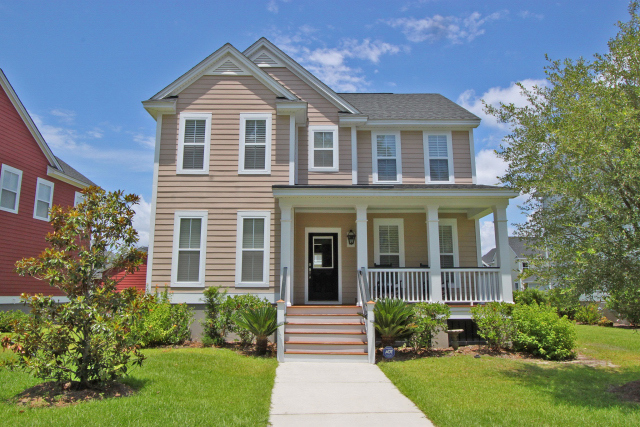 This new listing at 2385 Eagle Creek Drive is a part of the desirable Essex at Carolina Bay neighborhood, conveniently located in West Ashley. The home’s exterior is a quaint, neutral peach accented with white trim and a detached two-car garage. 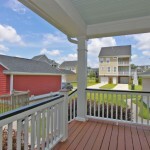 A front porch studded with white columns is a great place to relax on a rocking chair and enjoy the friendly community. There is also a porch off of the kitchen which leads into the backyard. 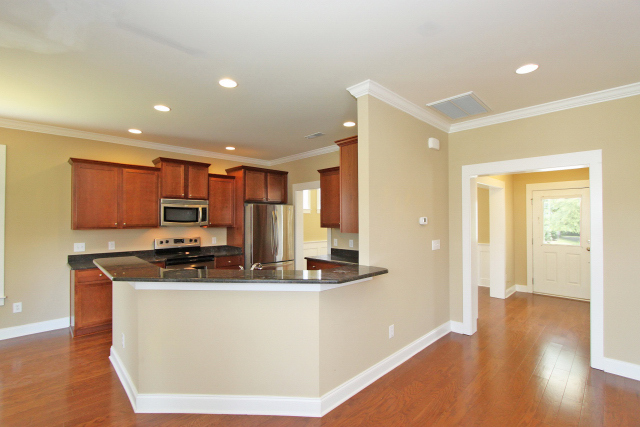 Inside, this two-story home has an open floor plan and many luxurious finishes. 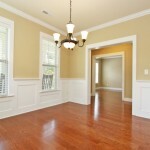 Elegant touches include wainscoting, plantation blinds, and crown molding to name a few. Upon entering, you are greeted by a light-filled foyer with the formal living room to the left and a formal dining room to the right. Both of these rooms have hardwood floors. A large, bright family room, complete with a corner fireplace, ceiling fan, and recessed lighting, serves as the main gathering space in the home and opens up to the eat-in kitchen for easy conversation flow. The contemporary space boasts warm cabinets, a large stainless steel refrigerator and dark granite counters with ample space for both cooking and bar style seating. The kitchen also includes a space for casual seating. All three of the home’s bedrooms are located on the second floor of the home, accessed by stairs off of the family room. The large master suite includes an en suite bath with a garden tub, a separate glass shower, a large window with textured panes for privacy, dual vanities, and a huge walk-in closet. The additional bedrooms are also spacious and filled with sunlight. 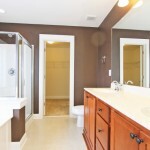 Other highlights of the home include architectural shingles on the roof, natural gas heat, a Rinaii tankless water heater, and a built-in pest control system. Furthermore, enjoy the convenient benefits of neighborhood, including a community pool, covered pavilion, and brick fire pit at the amenity center. Essex also has a nature trail live oaks and golden marsh views from its kayak launch. 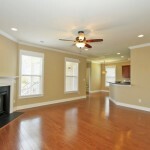 For more information or to set up a showing, contact listing agent Dan Killian.